SpanishOnPatrol's priority is to prepare officials to communicate and understand members of the Hispanic culture. 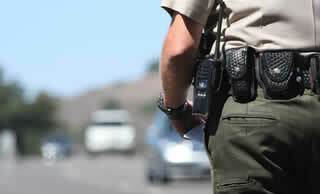 SpanishOnPatrol delivers public safety training that is designed the way you learn best. Our technology and games make learning more effective, more personal and more fun. Our approach dramatically increases officers' ability to retain knowledge and apply Spanish on the job. SpanishOnPatrol e-training pays off big for departments. The scheduling and implementing is less time-consuming than planning and running day seminars. The training takes place in the convenience of the participant's space, eliminating travel expenses and other expenses associated with seminars. Online training holds participants more accountable than a traditional seminar because attendance, assessment scores, activities, course completions, and participant progress can be monitored and immediately reported online. Most important, online training allows departments to provide dependable, consistent and high quality training across the department now and into the future.